When working with radiation, diminishing exposure should be the top priority. Ionizing radiation can have serious health effects at high doses which can compromise safety. Our radiation safety expert will provide you with the guidance you need to prove your facility is safe, compliant and inspection-ready. 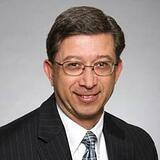 Tony Gemmellaro is an EHS Manager/Senior Consultant at Triumvirate Environmental. He has over twenty-five years of experience in the biotechnology and biopharmaceutical industry, public sector, healthcare and academic environments. Tony served as the radiation safety officer for several biotech/biopharmaceutical companies and submitted several applications for low-level radiation, a gamma irradiator and amendments for radiation safety programs. Tony earned a BS degree in biology from Boston University and a MS degree in biological sciences from the University of Massachusetts – Lowell. He is a well-respected speaker, teacher and recognized advocate for comprehensive EHS practices in the industry.